As many of ARMYs know, Jimin surely is acknowledged for his niceness both by members and his fans. 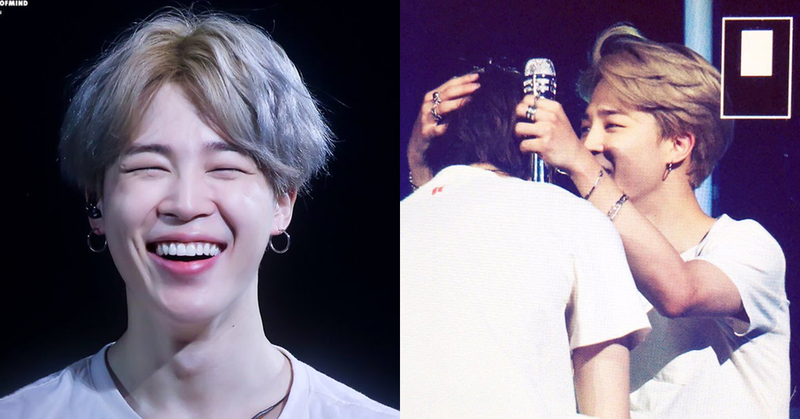 Let's see some of the kind acts Jimin did in the last few months. 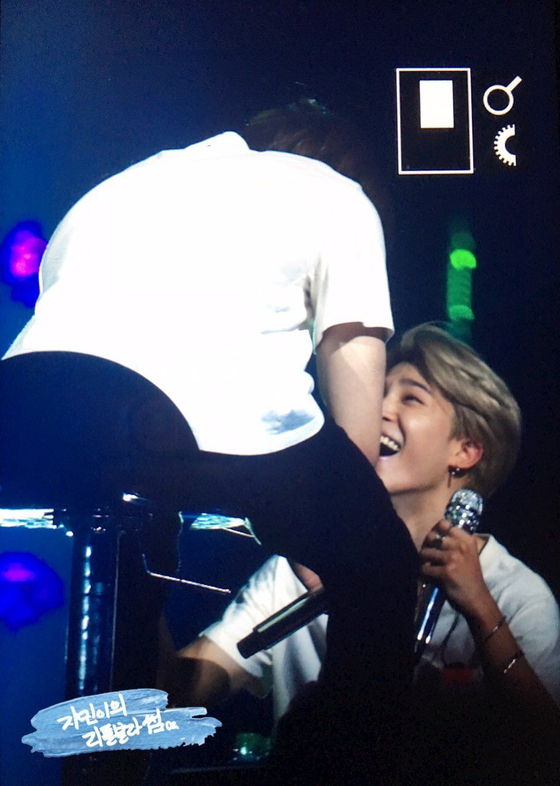 During one of the concerts of their recent world tour, Jimin saw a fan crying while walking by, who probably was so excited and moved at the same time. As soon as Jimin spots the fan, he said, "Don't cry. Smile. We love you"
The fact that he saw the fan and responded to her tears when he could have overlooked it is nothing to be taken for granted. Furthermore, what he said must have made the fan so touched. The fan probably couldn't have contained herself from crying even more at that moment. This one is during BTS's concert in London. At that time Jungkook had his ankle injury while he was stretching his body in the waiting room after the rehearsal. He was told not to dance so he had no choice but to sit down throughout the concert or stand still at best. 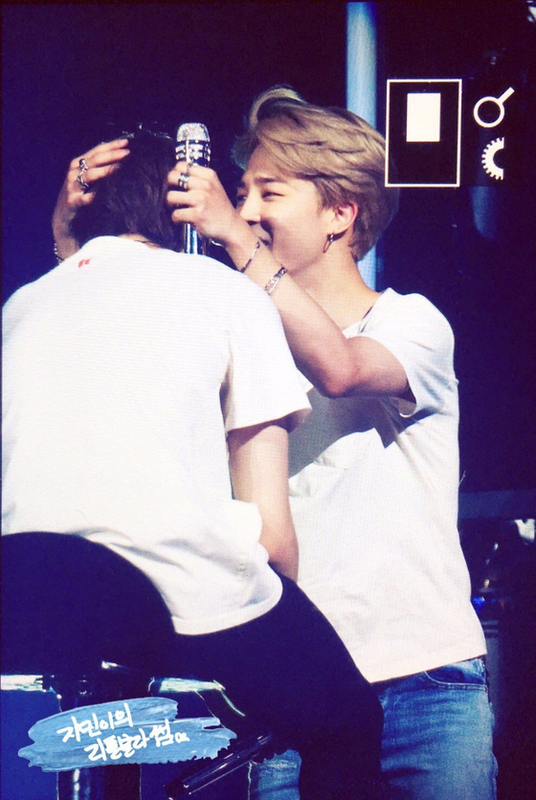 Out of frustration, he started crying and Jimin kept him company and comforted him. These are the photos of the moment shot in close-up. 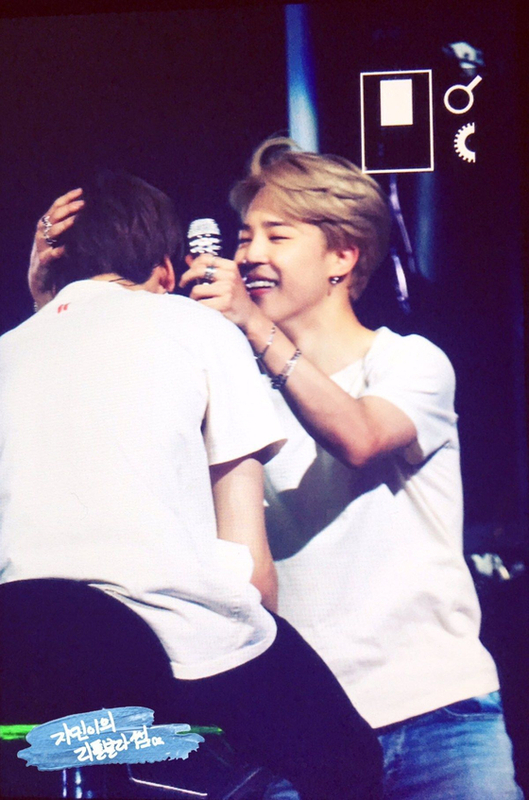 Look how Jimin tries to comfort Jungkook with the smile. In Taiwan concert, Jimin noticed that something is wrong with the floor. And it was time for all members to assemble at the front stage where they have to pass through the problematic spot. So Jimin let the members go first to make sure that they don't get injured and he goes after them. Also in Taiwan, Jimin says "ARMY is the reason for our presence." As you can hear in the video, lots of fans were more than delighted to hear that. Jimin's such nice acts plainly explain why he is widely beloved by not only fans but also by other BTS members.